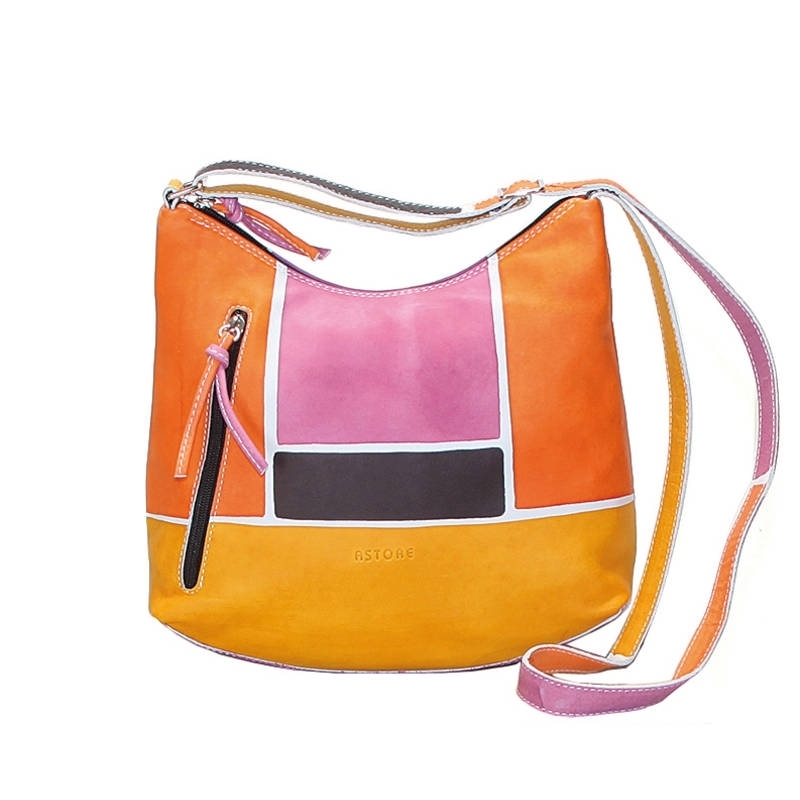 Natural leather handbag, handpainted, with a pocket and lining inside. 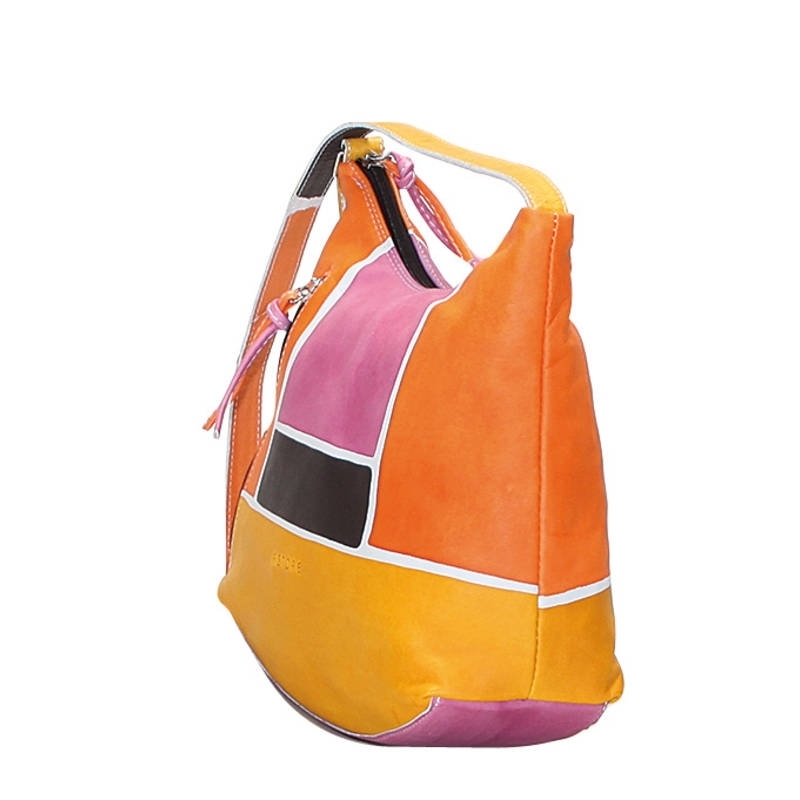 Soft shape, with external pocket and zip fastener, practical and spacious, it's suitable for any occasion. The shoulder strap is adjustable so that you can wear it as across body bag. All Acquerello handbags can be purchased with matching shoes, wallet, belt and other accessories. Colors black, yellow, pink and orange and pattern geometrical.